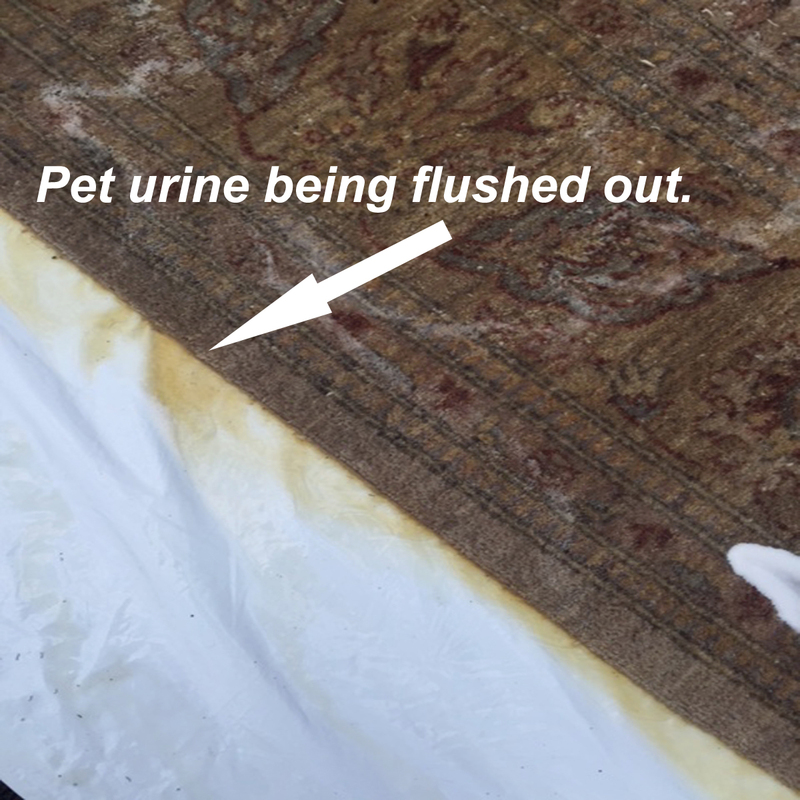 We pride ourselves in the methods we use in hand-washing your rugs. Each rug requires many man-hours from start to finish ensuring the best cleaning results possible. Our goal is to produce quality over quantity. 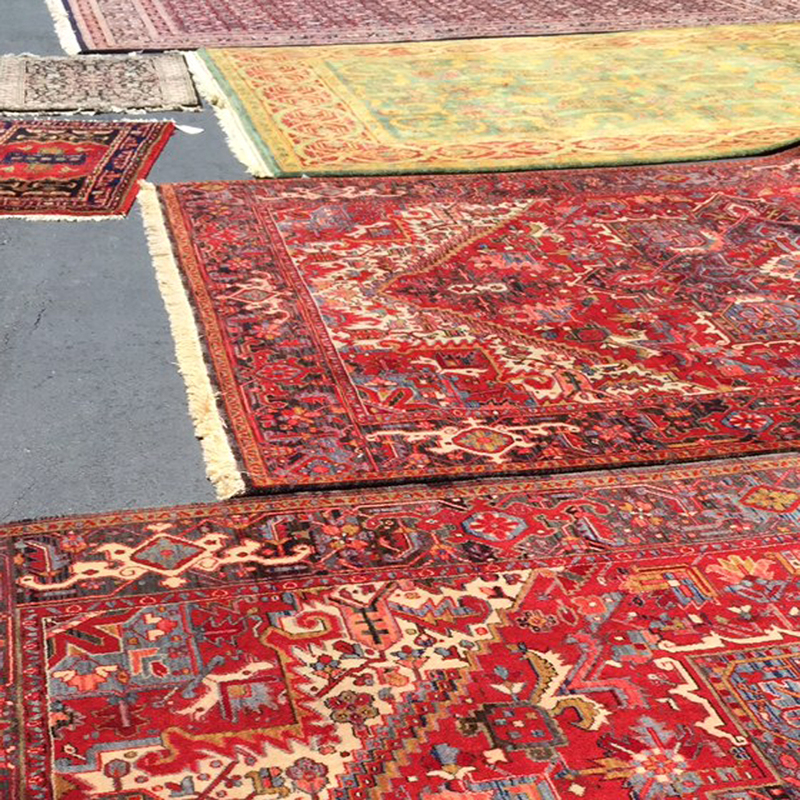 Every rug that comes to us is Hand-Washed individually from other rugs. This process allows us to have maximum control over all aspects of the cleaning. We do not throw your rugs in a machine to be cleaned, and we do not put rugs together in a bath. 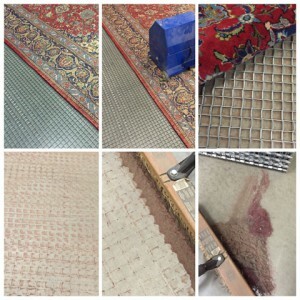 Here is our cleaning process from start to finish. A first step is a thorough dusting which removes the granular dirt and grit from your rug that is left behind even with proper vacuuming. If this dirt is not removed, it will turn to mud in the foundation of your rug. This dried mud will result in stains re-appearing and it will harm the foundation of your rug. Next, your rug is washed with special shampoos designed specifically for the types of fibers in your rug. During this process, special attention will be given to heavily soiled areas. This cleaning is followed by a thorough rinse and the excess water is removed with our professional grade water extraction machine. Fringe cleaning is the last process. Finally, your rug will be dried flat on the ground to assure your rug will not stretch out of shape. General Cleaning: $4.00 per sq. ft. 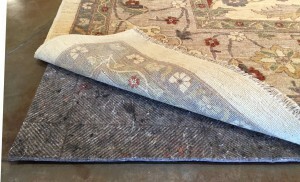 Heavy Soiled rugs: $5.00 per sq. ft. Mold and Mildew: $5.75 per sq. ft. 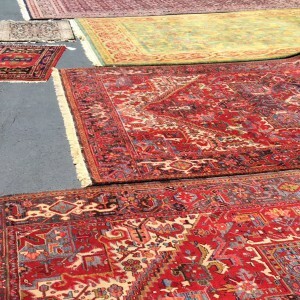 Silk Rugs: $6.00 per sq. ft. Cleaning Flush with Enzyme Treatment $2.00 sq. ft. additional to General Cleaning * Fringe included in all measurements. Regular vacuuming of your rug is essential. Vacuuming helps prevent dirt on the surface of the rug from filtering down into the pile where it can accumulate and cause increased wear. Avoid using the beater bar on your vacuum when vacuuming fringe. You can also use the separate nozzle attachment on your vacuum cleaner to clean fringe. Rotating your rug once every six months will allow normal wear to be more evenly distributed. Rotation will also help to minimize the appearance of color changes that may occur from exposure to direct sunlight. Every rug needs a good quality rug pad. A good rug pad will help prevent your rug from bunching on your wall to wall carpet and slipping on your hard wood floor. A solid rug pad will also prevent dirt from penetrating through the rug directly to your hard wood floor. Overtime that dirt can scratch the surface of your floor, causing the finish of your floor to dull quicker. See our Rug Pad Products under Services for more information.